Not only spotting him from a far distance, not catching only a glimpse of his tail, but really seeing one. And secretly I hoped that on that day, I might be able to take some nice photographs, too. 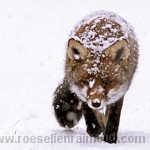 And very very secretly I hoped I would find this fox in a beautiful, natural environment and I guess I must have had some very secret fantasies about finding a fox in the snow. But, realizing that both foxes and snow are not the most common thing here, I knew this perfect combination would be quite a challenge to find and it might take a while to realize this dream. I decided to try our luck and went to a beautiful Dutch dune area. Although the whole country was covered with snow at that moment, I managed to find one of the few snowless spots. The nature was gorgeous nonetheless, the weather was perfect, so I didn’t really miss the snow. All of a sudden, totally against all weather forecasts, it started to snow like it would never end. And then,just when I least expected it…a fox popped out of the bushes and came walking out of the forest right towards me…! It had gotten cloudy at this time and it was still snowing heavily, so this surely isn’t the best quality ever, but this magical scene is burned in my memory for ever…. And concerning the photographs, I got my second chance, I surely grabbed it with both hands…! What an amazing moment to capture! Beautiful photo. Beautiful wildlife photography. I love your work. 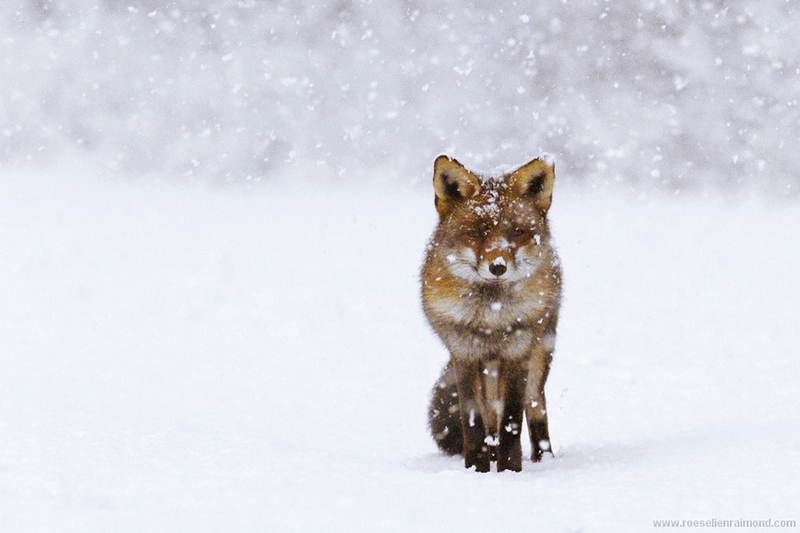 What a fantastic photo–the red fox against the white . . .
Glad to read you like my site and I can imagine you have some trouble reading it. I’m Dutch and my English isn’t that good.